Otolaryngology is difficult to pronounce and can be even harder to spell. But if you are having any medical problems that involve hearing, breathing, smelling, tasting, speaking or swallowing, it’s easy to find Charleston Ear, Nose & Throat, the largest private ENT practice in South Carolina. Charleston ENT has eight locations spread across the Lowcountry, two of them in Mount Pleasant. The practice, established in 1997, has 10 board-certified/ board-eligible otolaryngologists – commonly referred to as ENT specialists. 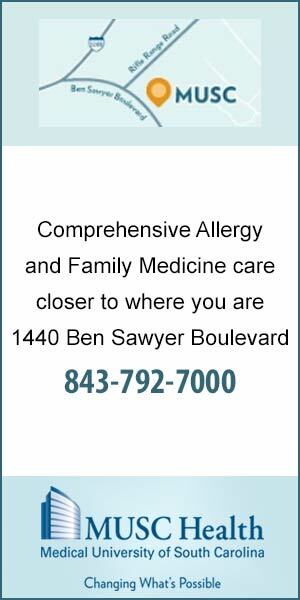 They treat everything from snoring to ear infections to tonsillitis to allergies, all under one roof. “We provide a full range of diagnostics and treatment for diseases of the ear, nose and throat,” said Michael Grubb, the practice’s executive director for the past 12 years. Charleston ENT even has its own surgery center, located at its West Ashley office on Savage Road. Serving approximately 4,200 patients a year and accredited by the Accreditation Association for Ambulatory Healthcare, the facility is more patient-friendly than a hospital, Grubb pointed out. And, he added, Charleston ENT employs only board-certified anesthesiologists. 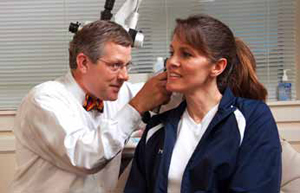 Otolaryngology: If you are having any medical problems that involve hearing, breathing, smelling, tasting, speaking or swallowing, it’s easy to find Charleston Ear, Nose & Throat, the largest private ENT practice in South Carolina. He pointed out that Charleston ENT treats patients of all ages, from children to senior citizens, but added that at the surgery center, kids are on the schedule first, starting at 7 a.m.
“It’s an intimate setting, and parents like it because we can get them in and out fairly quickly. Young children can be cranky,” he said. Some patients are referred to Charleston ENT by their family physician, while others come directly to the practice. Either way, Charleston ENT is well-equipped to handle any ear, nose and throat issues, from sinus congestion to sore throats to hearing problems. Charleston ENT opened its first Mount Pleasant office in 2001, on Johnnie Dodds Boulevard, and moved to a larger facility in The Tides Medical Arts Building on Wingo Way in 2007. 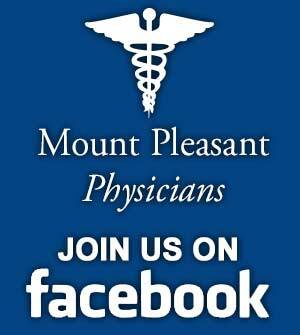 Its second Mount Pleasant location was established in 2010, near the new Roper St. Francis Hospital on Highway 17 North. According to Grubb, the steady growth of the practice over the past 15 years can be attributed to its conviction that the most important job of its 10 physicians – soon to be 11 – and 100 or so other employees is the health, happiness and well-being of each patient that comes through its doors. Charleston ENT’s Mount Pleasant locations are at 180 Wingo Way, Suite 103, and 3510 North Highway 17, Suite 135. For more information, visit www.charlestonent.com or call (843) 216-8774 or (843) 654-7494.